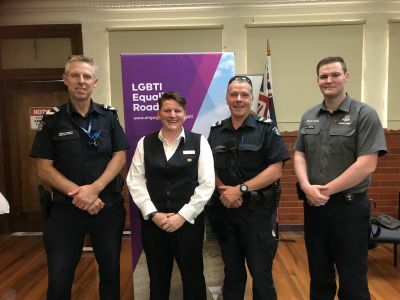 Since 2016 the program has promoted LGBTIQ Inclusion across Victoria. Greater broader community understanding and support for inclusion and diversity. 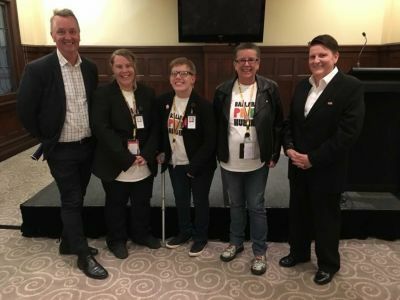 In November 2016, Victoria Government's first Gender and Sexuality Commissioner, Ro Allen, undertook an LGBTI Equality Roadshow across rural and regional Victoria. The LGBTI Equality Roadshow visited over 29 towns across Victoria. Towns visited include Swan Hill, Shepparton, Mildura, Ballarat, Stawell, Horsham, Geelong, Bairnsdale, Morwell, Wonthaggi, Violet Town, Benalla, Wangaratta, Wodonga, Warrnambool, Portland, Hamilton, Colac, Bendigo, Buloke Shire (Donald, Charlton and Wycheproof), Kerang, Macedon Ranges, Cohuna, Nhill and Ararat. The next phase of the Program over 2018 to 2020 will respond to emerging community needs and challenges and will continue to be driven by co-design principles. 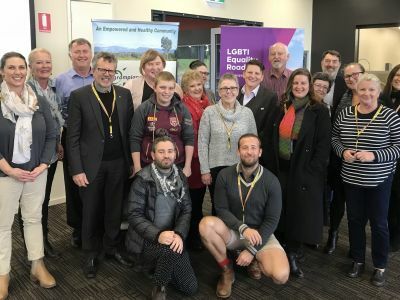 The Rural and Regional Program has met many inspirational and hardworking LGBTI community members, allies and supporters since it began in November 2016. "They stepped out of their offices, into a bus. They stepped out of the world of policy and legislation, and opened their hearts and minds to the community they served. They challenged rural community organisations to live out those principle of inclusion and diversity that populated their local policies and procedures." "I have children who are transgender and who have been the first in their schools. We didn't have any real resources that knew how to how to help"
"I was thinking of moving to a country town and a lot of friends said, "Look, you're transgender; it won't be safe to live there." VicHealth have documented and evaluated the first phase of the LGBTI Equality Rural and Regional Program. This document captures the model and tells the story of the Roadshow and the impact it has had on communities across the state. Join the mailing list for all the LGBTI Equality rural and regional news. Ring 131 450 - tell them the language you speak and the number for Engage Victoria 1300 366 356.